Hmm...I haven't heard much about this; but it's told from a male perspective and based on the blurb, it seems like the main character has some kind of connection with the 'spirit world'. Now, that sounds AWESOME. JODI. PICOULT. Enough said. She's one of my FAVOURITE authors! Seriously- I LOVE her books! And guys, if you haven't read any of her books, I highly recommend picking up Nineteen Minutes and The Pact; the latter is possibly my favourite stand-alone novel to date. I'm still not over how heart-breaking it is!! VAMPIRES! I can never get enough of VAMP stories<3 I really hope this won't be a disappointment! Spctacular! Golden Lily and Spark are you breathing yet? 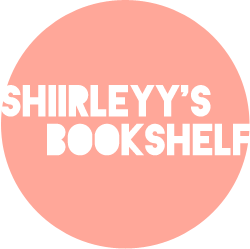 You should have a spectacular reading week, Shirley! YAY for Rapture!!!!!! I am listening to the audiobook right now and it is totally fabulous!!!!!!! Have you read Fallen in Love?!?!? 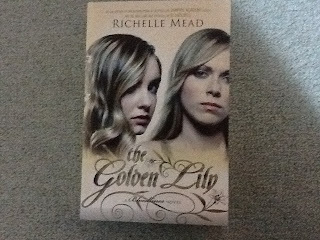 Ohhhhhhh and Golden Lily looks good too...too bad I still need to read Bloodlines lol! All these books sound fabulous...hope you enjoy!!!!!!!!!!!! Awesome haul this week! Looks like you got some great books! Amazing mailbox Shirley!!!! 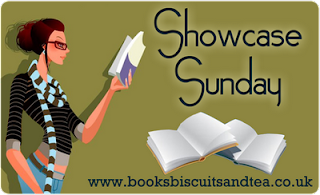 You've got some epic books in there, I can't wait to see what you think! I have Pushing the Limits on my list for this week and I'm beyond excited, I've heard such great things about it. The Storm/Spark series I've been told is outstanding, and based on your enthusiastic response to Spark, I'm guessing you agree:) Enjoy! 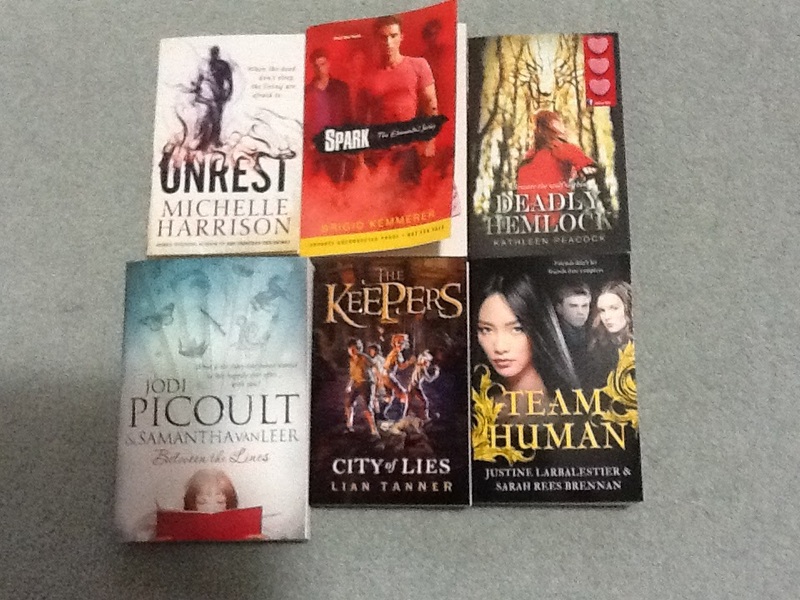 I love it when I find new Australian book bloggers! Hi! I got a copy of Between the Lines too- I'm not sure, I've never read a Picoult book before, but my sister loves quite a few, so I might too! we like quite a few of the same- Divergent = Loved it! Mara Dyer- simply one of the best books. Ever. HP, Hunger Games, If I stay... I'm so following you! I got The Golden Lily as well!! I can't wait to start reading! Pushing the Limits is an excellant book! I've reviewd it on my blog! I definitely prefer the US cover of Pushing the Limits, but I'll take any hardcopy, you know? My copy's from NetGalley. Oh awesome! You got Between the Lines early! Can't wait to read that one! Not sure when I will actually be able to do so! But it sounds incredible!! And I soooo loved Hemlock!! Very good story! Werewolves, murder mystery! Totally awesome! Also got the Golden Lily! Can't wait to devour that either! And yay for Team Human! I'm dying to read that book so I hope you like it. Also, that cover is really awesome too. EEEE! SPARK! So excited to get my hands on it. Whoever's got that ARC in Australia at the moment needs to pass it on soon! LOL. Gabe <3 TGL was so amazing, I can't even tell you. I was speechless when I finished. So so desperate for the next book! 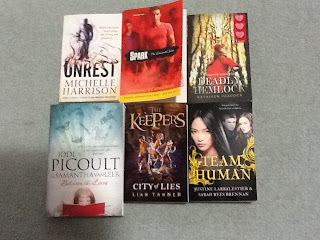 *cries* Great haul this week! !